Optimal Payments Plc (LSE: OPAY), the group behind the popular NETELLER payment solution, has just revealed it would buy rival Skrill Group (Sentinel Topco Ltd) for a sum of about 1.1 billion euros in order to expand its online services. Skrill is one of the largest online pre-paid cards providers in Europe with its paysafecard brand. Its shareholders include CVC Capital’s Sentinel Group Holdings SA, Investcorp Technology Partners and others. Back in August 2013, CVC acquired a controlling stake in Skrill for €600m from Bahrain-based Investcorp. Both payments solutions, NETELLER and Skrill, are very popular among international brokers as they offer a convenient way to get client deposits in regions that are otherwise restrictive. 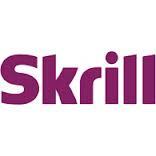 It remains to be seen if Skrill is preserved as a separate brand or if it is completely engulfed by the NETELLER brand. Optimal said it would launch a fully underwritten rights issue to raise gross proceeds of about 451 million pounds to partly fund the deal. The rest of the cash consideration would be financed through available cash and new debt facilities, Optimal said. “We are taking advantage of an exceptional opportunity to acquire a business we know very well which, combined with Optimal Payments, will be a leading UK based online payments business with the essential scale necessary to be highly successful. These opportunities are few and far between,” Dennis Jones, Optimal’s chairman, said in a statement. 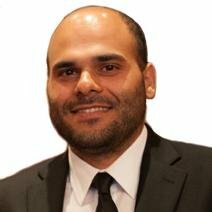 “The board believes this transformational transaction will be earnings accretive for shareholders from the first full fiscal year of ownership, will further diversify our client base and, additionally, will enable us to deliver enhanced services to existing and prospective merchants and customers in all of our global markets,” Jones added. Optimal also posted today a 44% rise in revenue and a 83% jump in pretax profit for the year ended December 31, 2014.